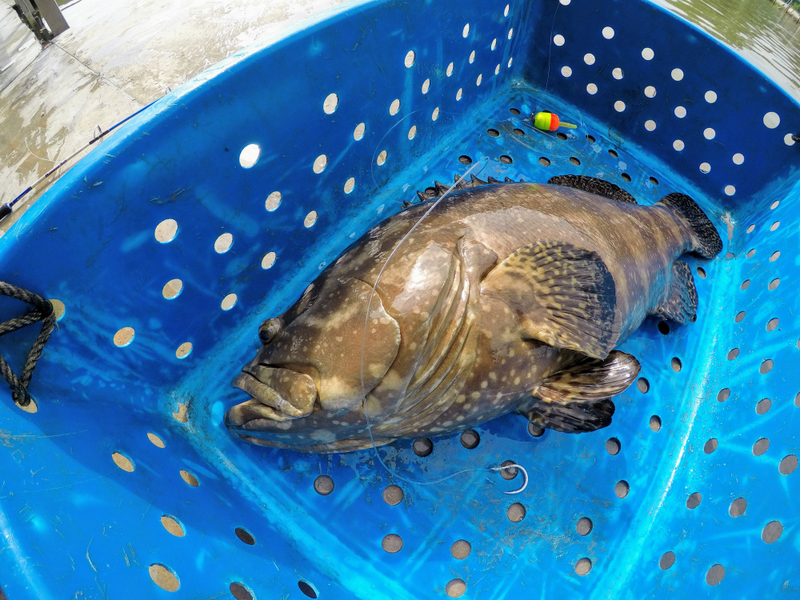 Goliath Grouper in LS Fishing Pond. Broad mouth and large body, a dream catch for all avid angler. After a great 5 days outing in Belum-Perhentian-Beng. Its time to wrap the tour in LS Fishing Pond. Home for the Goliath Grouper, LS Fishing Pond stocked their so called VIP Pond with huge size Common-Tiger-Goliath Grouper. The largest specimen is about 130KG and the average size is more than 10 KG. 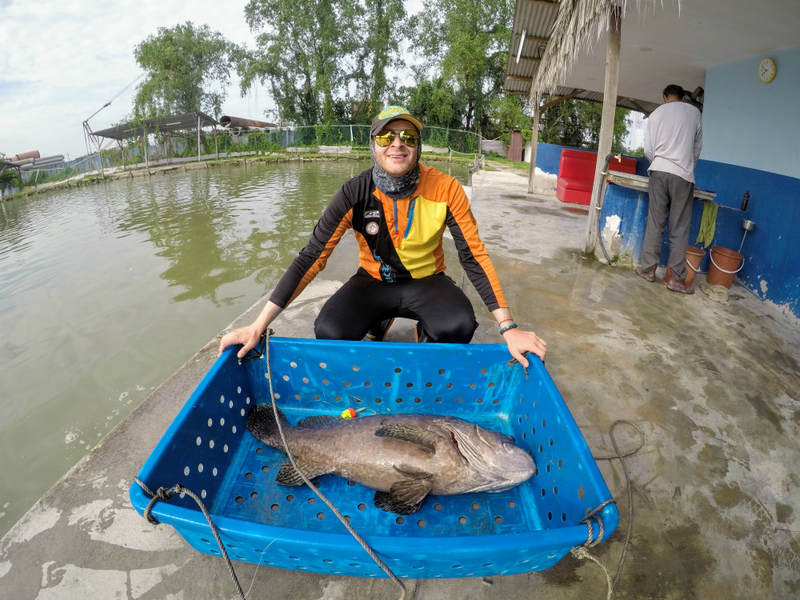 It is a VIP pond, all you need to bring is an appropriate fishing rod and reel to match the brute strength of big groupers. Justin had a very slow 2 day fishing and hopefully this wonderful stocked grouper pond will add in a new excitement in his 6 day journey. We leave Kg Beng, Lenggong about 5am in the morning and reach the place about 9am. All set for a 6 hour fishing in LS Fishing Pond. We were given frozen hardtail scads for bait. Properly prepared by the helper, cutting off hard and sharp tail of the scad and cut them up in 2 pieces. Penn Persuit II 5000 and paired with a PE3 rod. I had it spooled with a 50lb fireline, with a 100lb shockleader and probably a 9/0 size J Hook to get the job done. They would set up a floating rig and as soon as the float dives down, we know there is a fish at the end of the line. This is stocked grouper pond and I expect a good bite rate. As soon as bait being cast out 2-3 ft from the platform, Boom! First fish. The fight brief but intense. A good start to our morning session. 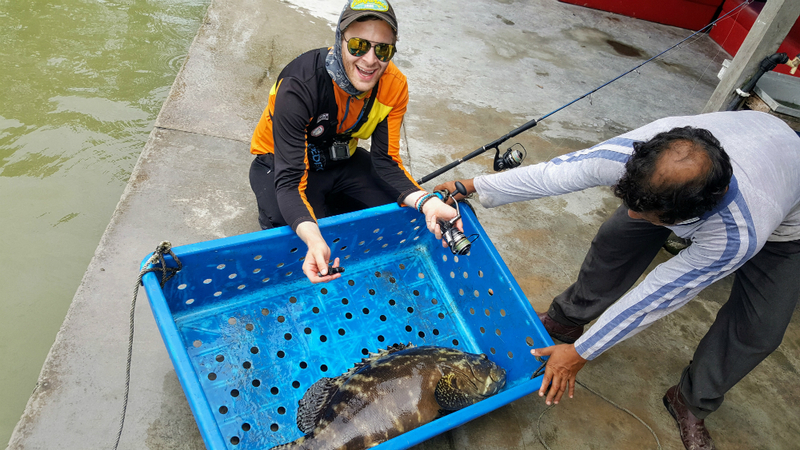 A 30kg grouper within minutes. I knew within 6 hours, were are going to hit a crazy number of grouper landed. The first few fish was still ok, and then came a fish broke off as it dashed out towards the large mechanical aerator. It could have been a bigger specimen. 2..3..4..5.. common tiger and goliath grouper landed with ease and faultless control by Justin. One fish capture my attention was fish no 7. It showed the same characteristic as the one Justin lost earlier. 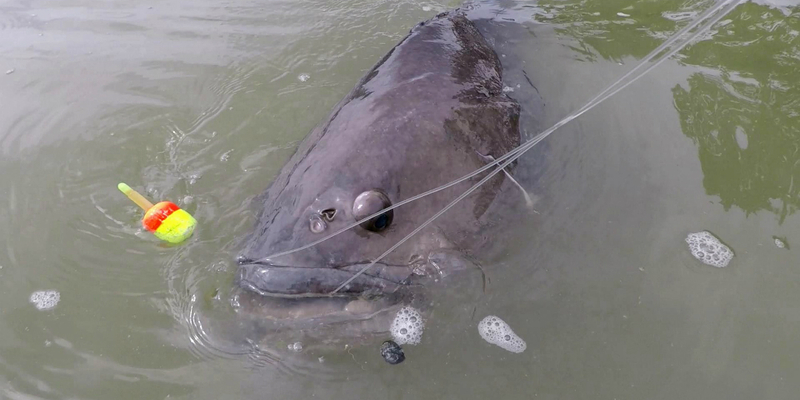 The idea is to let it drain its energy fast by letting it dashed away from Justin but once within a given distance, we need to force it to turn to us and pulling it close to the fishing platform. 40-50kg size would give up after first run, but this one still have some extra energy in its large paddle tail. It dashed out once more and this could be Justin dream catch. No 1! 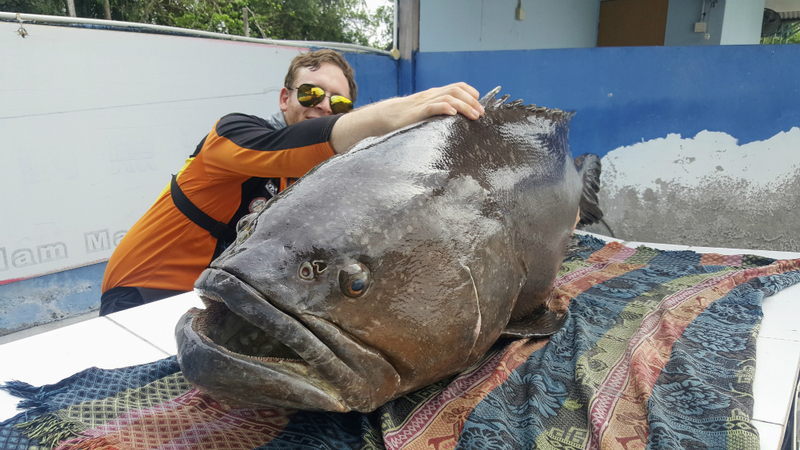 A 30kg Goliath Grouper to start your fishing day. Another tip to efficiently use our energy to fight fish is to fully use the leverage of pulling the fish with the fishing rod and double retrieve to ensure maximum line in during slack period. It was massive! 100kg shouted the helper. 100 short of Justin's deam Goliath Grouper. It was massive. 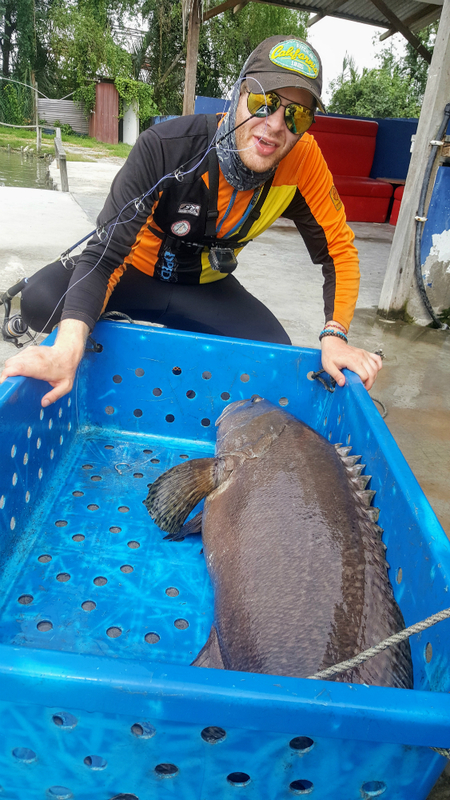 Estimated at 100kg, this deserve the highlight of Justin 6 day fishing tour in Malaysia. It was not easy to bring it up the fishing platform. I takes 2 guys to land it. 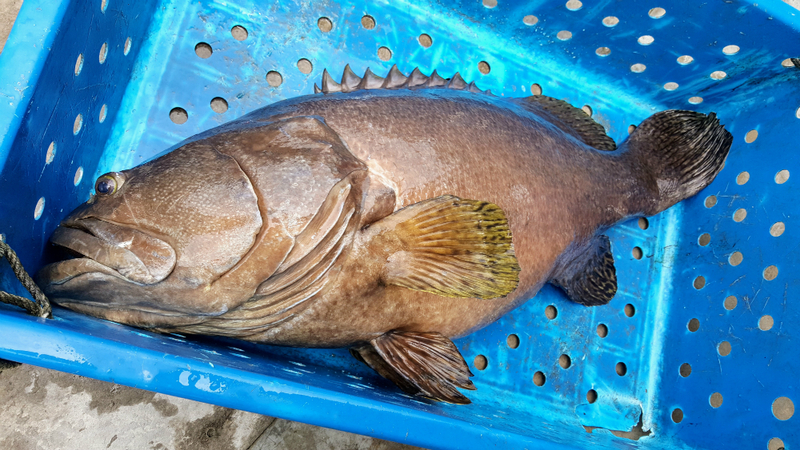 The mouth was very large, I think it can fit other 20-30kg grouper with ease. This one deserved to be place at LS Fishing pond Hall of Fame. We did get it on top a photo shoot area, specially made for super size grouper. I’m happy that I manage to get a good footage from start to finish. It was just Justin lucky day to land this magnificent specimen. Monster Goliath Grouper! Only in LS Fishing Pond! 100kg! The rest is history that day. One fish after another. 27 in total within 6 hours of punishing fishing outing for Justin. 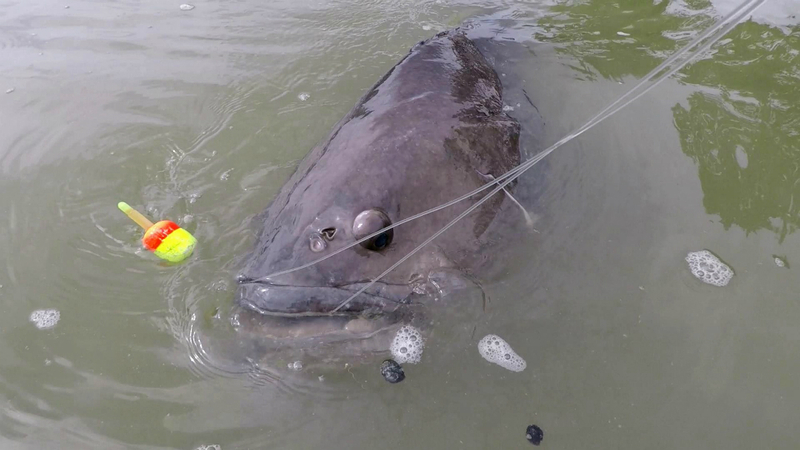 We could have end up with more fish if we are not targeting large Barramundi and MJ’s. With that sort of landing rate, I think we are grateful with such extreme experience. 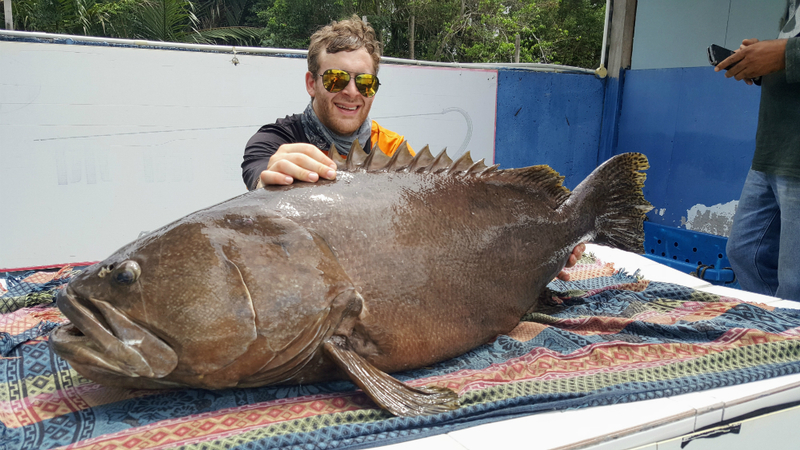 Justin did try to find the biggest fish 130kg specimen but only ended with second largest specimen 70kg++. Overall this is a great fishing pond for those who wants great result without dealing with the condition fishing in the sea. We were hit by massive wave in Perhentian but this pond help ease out the bad experience. 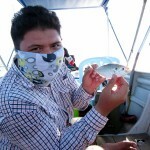 About 50-60kg ++, one of 27 fish caught that day. It was this small Tiger Grouper that broke one of the Penn Persuit II. One of many +40kg Grouper landed that day. Awesome fishing pond! Fish here are all healthy and in good shape. Like this beautiful Tiger Grouper. 28 fish in total, one last fish before Justin hit the road and continue his fishing adventure in Thailand. 6 days fishing outing was a new record for Fishyology, covering as many species and experience possible for Justin. We had some shortfall along the way but I hope it was great experience for him. 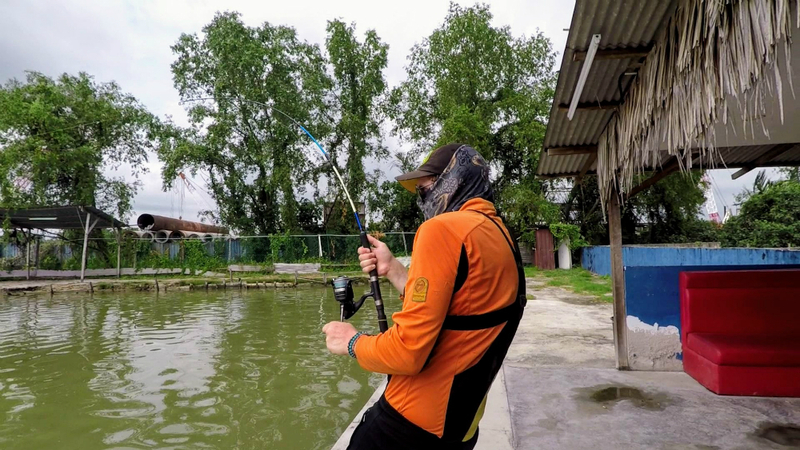 Overall LS Fishing Pond is a proper, well managed fishing pond for all walks of fishing enthusiast from beginner to the advance level. We are still waiting for Justin personal write-up about his 6 days adventure in Malaysia. Watch that space and thank you for reading.